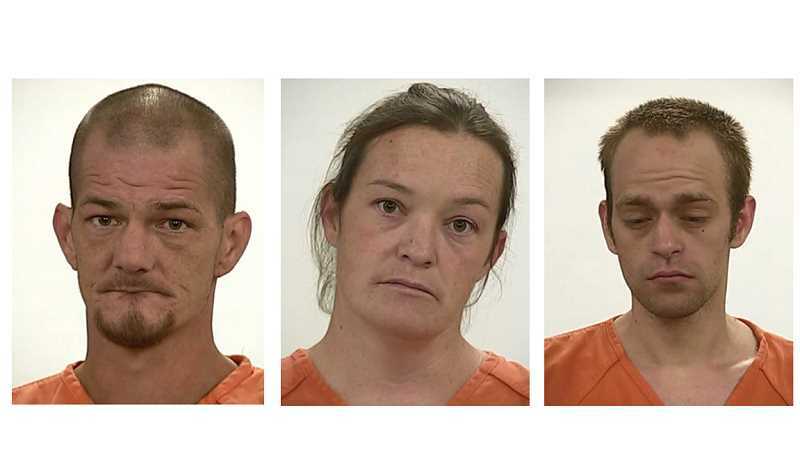 Three Crooked River Ranch residents were arrested following execution of search warrant. 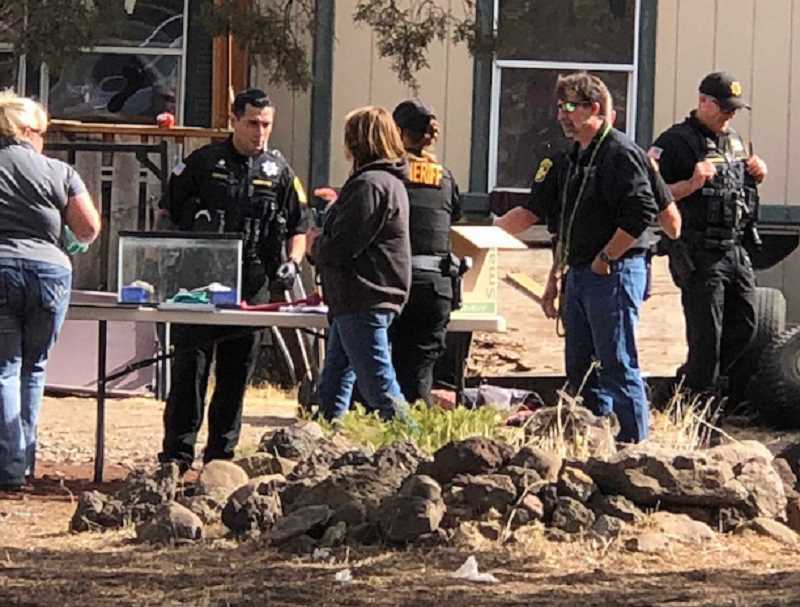 What started as an investigation into animal neglect at a Crooked River Ranch residence expanded into the arrest of three Ranch residents on drug charges Oct. 3 and 4. Jonothan M. Vance, 37, Mellody A. Barnes, 35, and George T. Austin-Vance, 31, were ultimately arrested for unlawful manufacture of marijuana, a Class B felony, along with other charges. According to Marc Heckathorn, undersheriff for the Jefferson County Sheriff's Office, seven deputies and four reserves executed a search warrant at the residence at 12581 SW Cinder Drive at the Ranch at about 12:46 p.m., and seized numerous animals, including six dogs, four cats, four rats, two snakes, and 20 fish. Vance and Barnes were on supervised probation for animal neglect, which had occurred between Jan. 1, 2012, and June 5, 2013. The two had been found guilty April 3, 2014, in the Jefferson County Circuit Court, of four counts of second-degree animal neglect, Class B misdemeanors. The charges stemmed from the severe neglect of a stallion and three mares — two of which were found to be pregnant — from 2012 through mid-2013. On April 18, 2014, Vance was sentenced to 14 days in the Jefferson County Correctional Facility, and Barnes, seven days, and both were sentenced to five years of bench probation, during which they were specifically prohibited from possessing any domestic animal. Through contacts with the two, law enforcement officials became aware that there were animals at the residence and obtained a search warrant, Heckathorn said. They were assisted by the Jefferson County District Attorney's Office, Three Rivers Humane Society, and a veterinarian. While executing that search warrant, the deputies discovered an illegal marijuana operation, which was being used to produce butane hash oil, in addition to a firearm. After waiting at the scene for an amended search warrant, deputies were able to expand their search to seize marijuana plants and paraphernalia used to make hash oil, which is produced by grinding up marijuana leaves and exposing them to a solvent, such as butane. After their arrest on the warrant for possessing domestic animals, Vance and Barnes were lodged in the Jefferson County Correctional Facility, with security set at $25,000 each. Besides the misdemeanor animal possession charges, Jefferson County District Attorney Steve Leriche added a charge of felon in possession of a firearm to the charges Vance is facing. Deputies returned to the residence Oct. 4, around 2:30 p.m., and arrested Vance's brother, George Austin-Vance, who was living at the residence, was also charged with two counts of endangering the welfare of a minor. After he was arraigned on Oct. 5, he was released. Heckathorn said that the Department of Human Services is handling the children associated with the residence, but declined to answer specific questions about their ages. DHS was previously contacted when Vance and Barnes were arrested in 2013 on the earlier charges. The animals were all checked over at the scene. "The veterinarian performed a wellness exam for each animal and the Humane Society was able to transport and will care for all the animals at their facilities, pending the outcome of the case," said Heckathorn.